Lauren Cornell PT, DPT graduated from Quinnipiac University with her Bachelors in Health Science Studies in 2012 and with her Doctorate of Physical Therapy in 2015. Lauren holds a PT license in several states having worked in California, Delaware, and Pennsylvania. 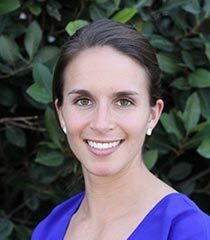 She specializes in outpatient orthopedics with an emphasis on overall wellness and injury prevention. Lauren loves interacting with patients, guiding them through the recovery process and helping them return to what they love. In addition to PT, she holds several fitness instructor certifications including HAWT Pilates, AFAA Group Exercise, Spinning®, BodyBlade®, and Ugi® Fitness. Outside of work, Lauren enjoys spending time with her family, riding her bike, and reading a good book.